With the New Hampshire Senate race extremely tight, both candidates spent Friday meeting voters during multiple stops throughout the state. 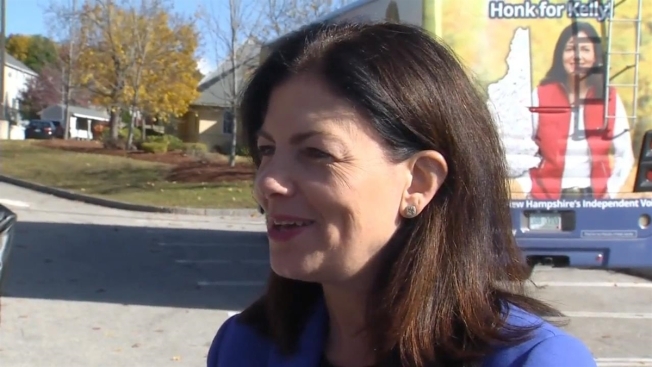 During those stops, Sen. Kelly Ayotte and Gov. Maggie Hassan got an earful from voters. "It has been awful, it is the first time I actually feel afraid of an election," Maureen Novelline said. "I'm old enough to have seen a lot of elections and this is one of the worst." Speaking outside a diner in Hudson, Ayotte said in the waning days of this election season, it is all about meeting voters. "This is really a grass-roots state, so I'm really looking forward to being out in the state," she said. "We are stopping everywhere, we are going to be taking this tour up and down our state." After stopping in the diner, Ayotte headed to Nashua, where she spent some time working the drive-thru at a local Burger King. "I'm really impressed," Christopher Ferris said. Ferris, a veteran, added a lot is at stake come Tuesday. "I think this election is probably the most important election of my life," he said. "It is with a heavy heart that we mourn the loss of U.S. Army Special Forces Staff Sergeant David J. Whitcher, a former member of the New Hampshire National Guard who completed two deployments to Afghanistan, who tragically lost his life in a training accident. His loss reminds us that all of those who serve risk their lives every day to keep us safe, a sacrifice that can never be repaid. Joe and I extend our sincerest thoughts and prayers to his mother Kathy, his wife Victoria, and his son David during this difficult time." In Manchester, Hassan met employees of a local company. The governor walked around shaking hands, then spent about 15 minutes talking to dozens in the company's conference room. "We have always known this is going to be a really close campaign and I'm just working over these next few days to talk with the people of New Hampshire about what we have been able to accomplish," Hassan said. "Just talking to as many people as I can, that is always in these last few days of elections, you just want to get out." Both candidates have full schedules until Tuesday. "It has been a long process, what are we going to afterwards?" Sally Kelly said with a laugh. "The wonderful part of this whole election cycle is that it has brought so many more people into it."